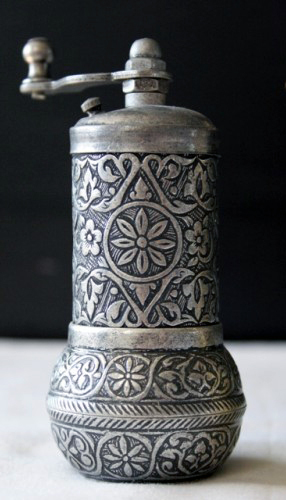 Coffee came to Turkey in the 16th century, discovered in Yemen by an Ottoman official and introduced to the sultan Suleiman the Magnificent. Its popularity quickly spread but in the following century, it was deemed a drug and outlawed, upon pain of death, likely because the coffee house culture encouraged political discourse and potential dissent. Despite the harshest of penalties, the prohibition could not hold against the demand. The name Turkish coffee refers to a method of preparation, the oldest there is, rather than a particular set of ingredients. 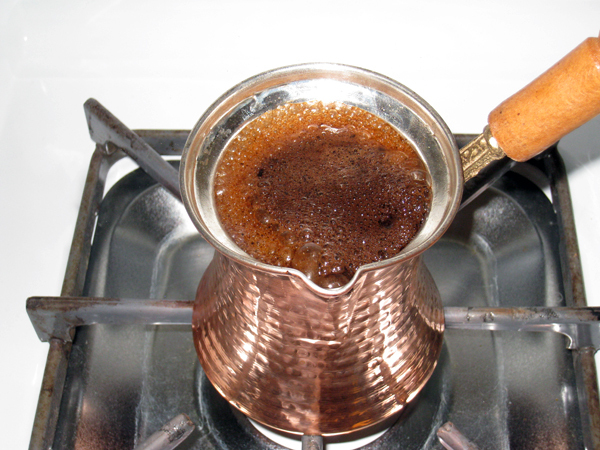 The same or very similar drink is popular across the Middle East and eastern Europe, sometimes called Turkish coffee but often named for the country in which it is served. So, here goes. It’s very simple. 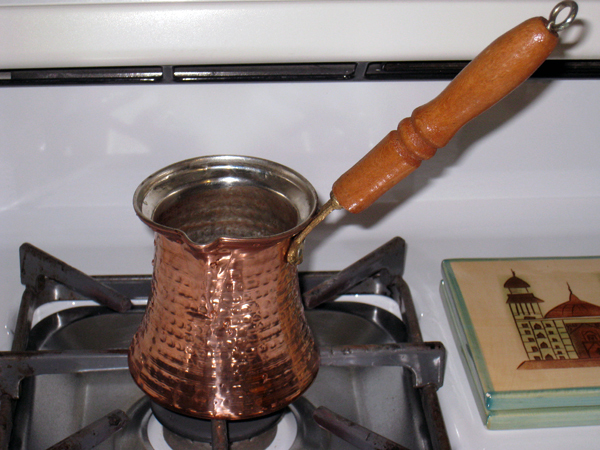 You need a special pot called an ibrik or cezve, usually copper with a wooden handle (I bought mine for well under $10), and a teaspoon. 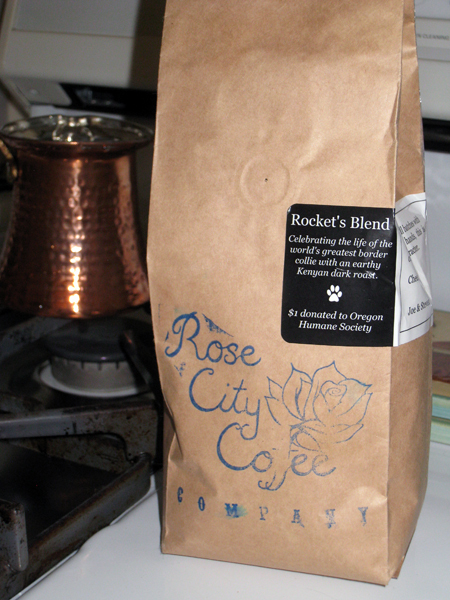 You can use any coffee but fresh ground beans are the best. The grind must be extremely fine, like powder. Few standard electric coffee grinders will do the job. A hand-crank pepper mill works great. Once the coffee returns to a nonfoamy state, put it back on the heat and repeat. Let it foam up on the heat to near overflowing three times. Then serve. Don’t stir. 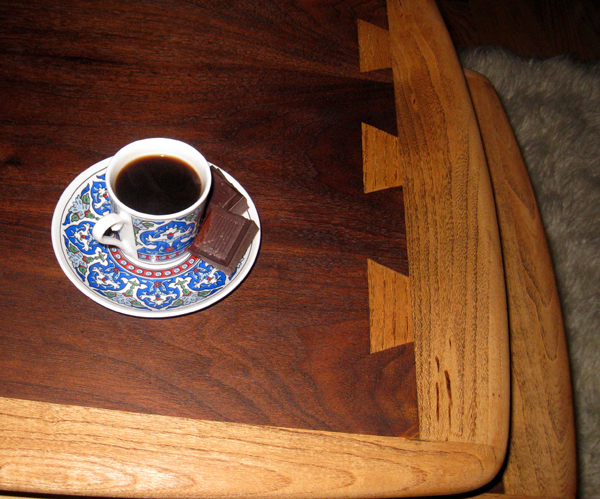 If you’d like to have Turkish coffee in Turkey or Morocco or Greece or Oman…we can help you with that. Visit our web site at www.yallatours.com. This entry was posted in Food & Drink, Turkey and tagged Coffee, Turkey, Turkish, Turkish coffee by yalla2013. Bookmark the permalink.